Oh my - fancy me being on the ball and posting this on Monday instead of Tuesday, LOL! 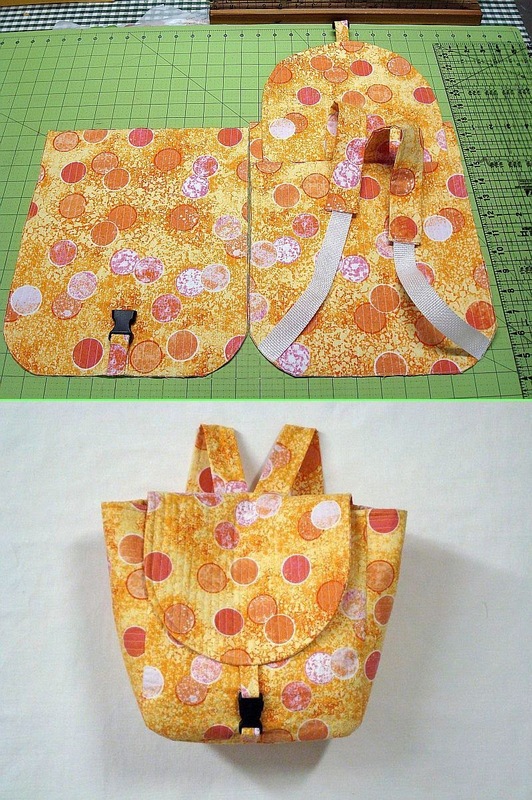 And one last photo - this is a pouch I made for my SIL - she wanted a bag made with fabric related to walking, to hold her techy toys for her walks :D I didn't have walking fabric per se, but did find these in stash - they're Laurie Wisbrun prints, lol. 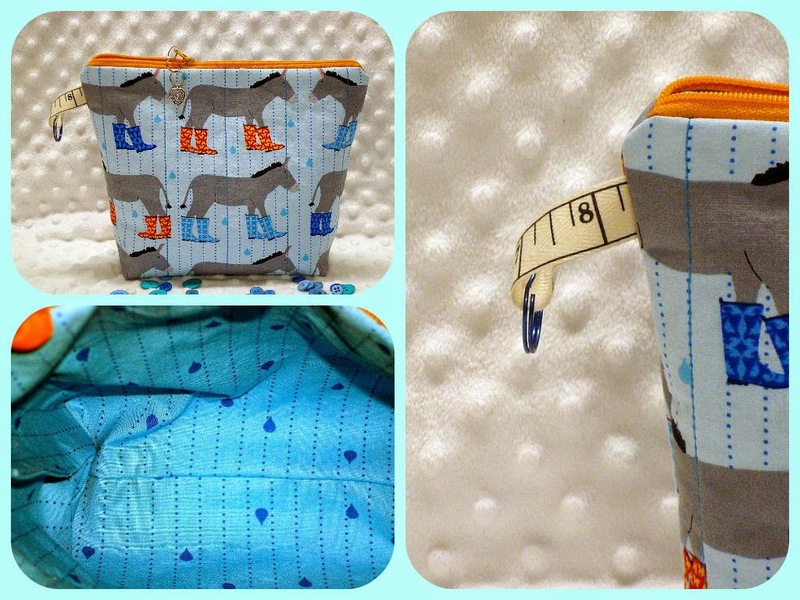 The finished bag measures 9"w x 7"t x 2.5"w - as per her request :D The measuring tape tab on the side is a reminder of the miles/kms she walks :) I think she liked it - who wouldn't like donkeys in rainboots, LOL! I like your quilted exterior but sorry to hear about the pattern and broken closure. Donkeys are great! Donkeys in boots - love it!!! 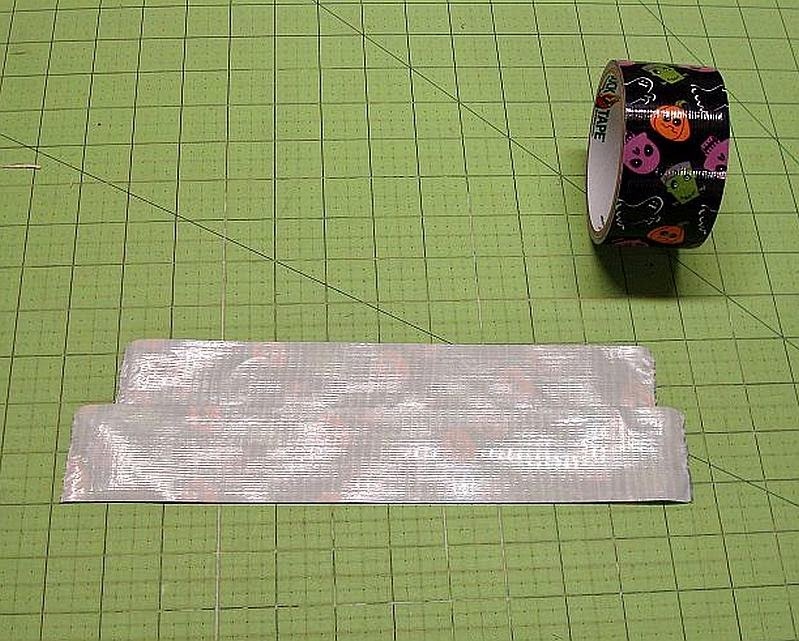 Interested to see how you use duct tape with fabric. Definitely looks different to the silver duct tape Mr TMW uses. I really like how the quilting detail gives form to the backpack. So sorry to hear the clasp is broken - what a bummer! I have seen duct tape wallets, and I hope you have fun making yours! I love the donkey in rain boots. I want some scraps of donkeys in rain boots. that donkey fabric is hilarious! Hope she didn't think you were calling her a donkey! I think the backpack looks pretty good - is it a selective photo? Actually, the bag looks great. Why not adjusting the pattern to include all those that you would like to see in the pattern? Oh, I am sooo in love with those donkeys!!! 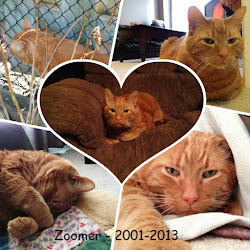 Thank you for linking up with me! It's all about the donkeys in rainboots :) Super cute.....again! Ps lovely blog you have here ! !